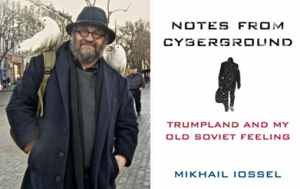 Join us for a seriously biting conversation with Mikhail Iossel and Amy Knight on Trump and Putin, American politics and Russian totalitarianism. 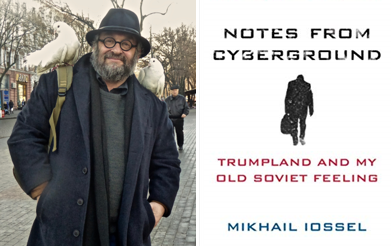 “Mikhail Iossel is an intense and thoughtful force for decency in the world.” (George Saunders). From a youth spent in the USSR to a life remade in the USA, Iossel shares the brunt of this experience on Facebook, where thousands follow his blistering, penetrating posts on Trump’s America and Putin’s Russia, and his pensive, eerily timely recollections of life under totalitarianism. NOTES FROM CYBERGROUND brings together a choice selection of Iossel’s aphorisms. Amy Knight, a historian of the Soviet Union and Russia who has been described by the New York Times as “the West’s foremost scholar” of the KGB, is the author of six books including, most recently, Orders To Kill: The Putin Regime and Political Murder.